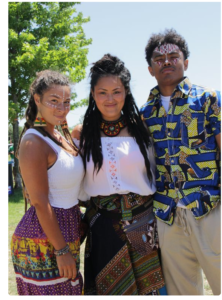 On July 8 and 9 crowds of people from various backgrounds and ancestral lines flocked to Woodbine Park for Afrofest 2017. I was met with a beautiful sea of colours, textiles and tantalizing smells as soon as I entered the park. I walked into the crowd and immediately felt the sounds of drums, laughter and music draw me in. Vendors lining Woodbine Park offered more than just products, but a link to traditions, forgotten histories and holistic practices. 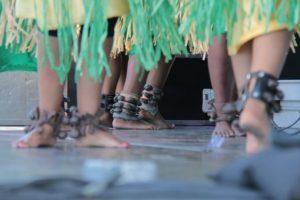 There was so much to see and do –from drum circles to dance competitions and children story-time with Mama Earth –It was easy to get lost in it all. Now in its 29th year, Afrofest lays claims to being the largest free African Festival in Canada. With over 35 live performances and 100,000 visitors Afrofest has become a staple in celebrating Toronto’s diverse African-Canadian community. 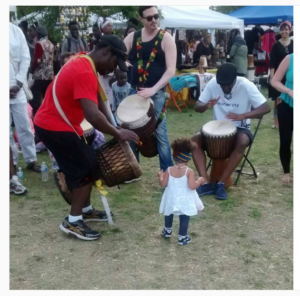 Here are some pictures taken by and featuring some local artists, that give a glimpse into all #Afrofest2017 had to offer. Toronto face painter, Carissa Baron painting tribal face masks at Afrofest. Face painting is a tribal tradition often used to signify important life changes, tribe membership and social status. Check out more face masks from @carissmabrave on Instagram. 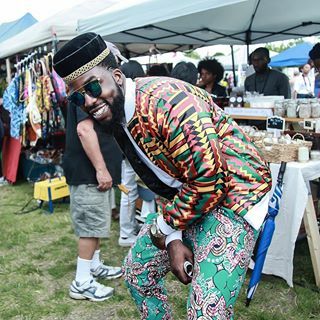 @Kofi_art is a self-taught Toronto artist whose artwork is inspired by music & conversation. Visit Kofi on Instagram to see more of his stunning paintings. 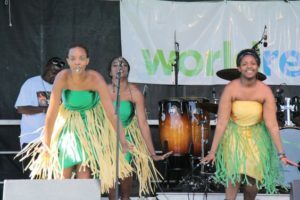 Dancers from Rama Club performing a traditional Burundi dance. 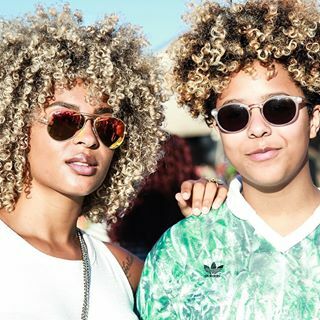 A huge thanks to all those who shared their photos from Afrofest with me. You can find out more about each artist by checking them out on social media.